NEW!! ORDER ONLINE. SAVE 10% ON YOUR FIRST ORDER. 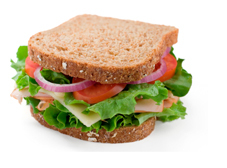 Deli sandwiches made to order using Boar’s Head Meats or Homemade salads, with choice of fresh bread and cheese. Includes a pickle half & bag of chips.